Life does have very interesting intersecting events, which, many times serve to influence the occurence of other ensuing and evolutionary developments. It is then, perhaps, we may wonder—as it is popularly said—-“one thing lead to another”, as if events and developments throughout our lives may somehow be intertwined, pre-planned or pre-ordained. I am of the school of thought, it doesn´t really matter if evenets that unfold as coincidences or semmingly tied to one another occur. When things are intertwined or seem that way, it is better to accept them as they are and not try to waste time into delving how it may have been originated, as if to find some kimnd of premeditated action or manipulation behind it all. In the case in point of the nation of IRAN and the UNITED STATES OF AMERICA, the seemingly intertwined connection within the White House and toward the exterior, vis-a-vis IRAN, is the name Valerie Jarret. Jarrett was born in Shiraz, IRAN, to American parents James E. Bowman and Barbara Taylor Bowman. One of her maternal great-grandfathers, Robert Robinson Taylor, was an architect who was the first accredited African American architect, and the first African-American student enrolled at the Massachusetts Institute of Technology. This woman, Valerie Jarret, is President Barack Obama´s closest advisor. She is a genuine–the single and authentic–element of intersecting events that started with her great-grandfatrher and continued with her own parents when she was born in IRAN and thereafter it continued with Michelle Robinson, as Valerie Jarret once hired her in Chicago. And who would have known? Michelle, was the name of her former employee. Michelle later became Michelle Obama, fiancée of Barck Obama, later becoming his wife and therafter the First Lady of the White House. It doesn´t matter how Valerie Jarret rose to the White House backroom of senior most advisor to President Barack Obama. It is the way it is. So now we have a scenario where IRAN is perceived on a worldwide basis to have made great strides in its foreign policy, while perceived as a winner from the negotiations between the UNITED STATES OF AMERCIA and that rogue terrorist nation. 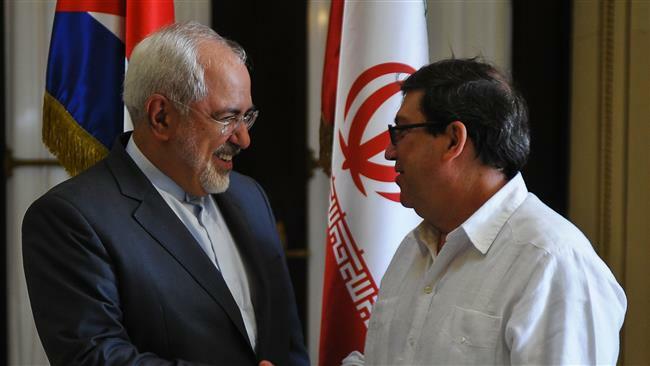 Iran and Cuba are no strangers to one another. It is just that under the strange and fractured foreign relations policies of the Obama administration, such diplomatic conduct and ensuing ideological shift tendencies facilitate for like nations to engage with a sense of satisfaction and committment while believeing they have been and are on the “right track”. Of course all at the grave detriment of the UNITED STATES OF AMERICA. It is time for this great nation buckle-up on its military, intelligence, State Department, and regarding its lack-luster public relations as it interfaces with nation that are out to no good in regard of UNITED STATES interests. I am extremely concerned of the three branches of powers of government of our nation; Executive, Legislative and Judicial have been abridged and compromised by the Barack Obama White House. That´s precisely where my believe in the old tired phrase; “The buck stops here” (a phrase popularized by U.S. President Harry S. Truman, who kept a sign with that phrase on his desk in the Oval Office. The phrase refers to the fact the President has to make decisions and accept the ultimate responsibility for those decisions.). Nothing could ring more true today, regarding the Presidency of the UNITED STATES OF AMERICA, which has ben trampled without respect to the three branches of our government. In the end, it may not be also a coincidense that as Harry Truman was published in print to have lost his candidacy for the Presidency of the UNITED STATES OF AMERICA, he had actually won and thereafter became our President. And some President the he turn out to be. At a time when the kamikaze where crashing into our military equipment causing great death and disaster, similar as today´s kamikazes–RADICAL ISLAMIC TERRORISM–President Rumen must have pondered; How does one win a campaign plagued with suicide action against our boys and our nation? The answer is now history. Perhaps, it is no coincidence Donald Trump is perceived behind in the polls as Harry Truman was back then in his day. And perhaps, even as predictions continue to formulate political forecasting of a Hillary Clinton win, it may be Donald Trump who actually will win the Presidency of the UNITED STATES OF AMERICA. I am gravely concerned of the political perfect storm, ready to intersect, which is brewing in this nation in the face of the worldwide Radical Islamic threat to a mostly free world. The United States Constitution was not written with such a radical unilateral ideology in mind, which destroys the very fiber of the precepts and principles embodied in such; most powerfully written document in U.S. political history. It is ironic and truly very worrying, for all people who consider themselves Americans, these times and particularly the next few months will determine the inevitable: Radical Islam is now the biggest threat to U.S. national security and as such it must be engaged and destroyed, regardless of all the past intertwined events and coincidences, which have propelled it under the unacceptable tolerance of the White House of this great nation. Beware. In GOD We Trust and our alligiances are pledged to the UNITED STATES OF AMERICA.